A common belief in the business community conveys the idea that managers with leadership skills guide workers in delivering higher levels of performance and ultimately increase corporate profitability. That is the theory. But is it valid? The concept hinges on factors that are not commonly acknowledged or agreed upon in the business community or elsewhere for that matter. For one, how do you define leadership? And how is leadership differentiated from management? Leadership and management serve as useful terms but their meanings have become confusingly conflated. Management titles are frequently used to identify leaders. But does a title really define a leader? And many respected organizations offer leadership training. If training actually produced leaders, why do so many CEOs who have had ample access to training fail in their first few years on the job? When we consider historic leaders, we might think of Mahatma Gandhi, Rosa Parks, and Winston Churchill who led entire societies through periods of great turmoil and evolution. 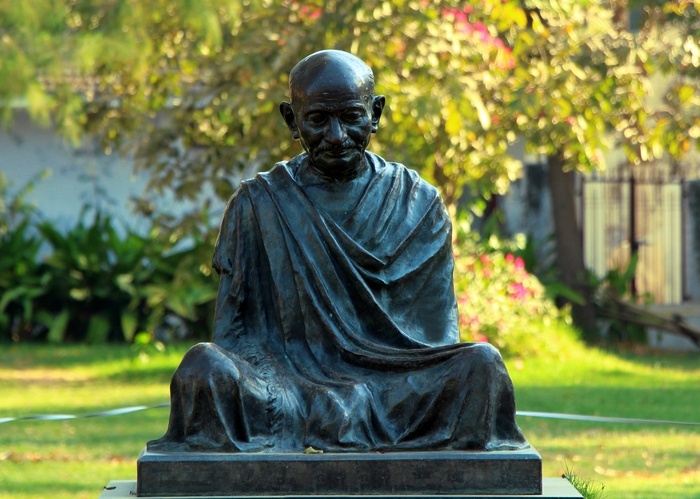 Gandhi guided the independence movement in India through non-violent civil disobedience. Rosa Parks, “the first lady of civil rights,” sparked the Montgomery Bus Boycott in the American South commanding attention by refusing to relinquish her seat and move to the back of the bus. Of the three, only Churchill, the iconic statesman who led Great Britain through the challenges of WWII, had a lofty title as Prime Minister of the United Kingdom. Obviously, factors other than title set these individuals apart as leaders but what common characteristics bind them together? Management, by contrast, is fairly well understood in its role of operating the levers of power within an established organization. The skills required of a manager have been documented, formulated into training, and delivered with generally good results. The problem arises when trying to elevate a manager to leadership status. This begs the question, how does leadership differ from management? Do individuals in the upper reaches of business inspire allegiance through demonstrating the qualities of leadership or do they leverage the power and dominance of their positions? Such questions demand a clear definition of leadership which resides in the statement that a leader inspires followers. But leadership is more complex than someone simply showing others the way forward. Parroting what a recognized leader did in the past and expecting similar results is frequently touted as a path to leadership but has frequently proven to be a well-trodden trail to failure. Successful leaders do what works in the current situation and what works differs across time, circumstances, and geography. In contrast to management, leadership is completely situational. Remove any one of these factors then ask if Gandhi, Parks or Churchill would have still been considered leaders. The answer is likely, no! Training can move an individual only so far along the journey to becoming a leader because the fact is not all leaders need the same set of skills. They only need the skills that serve the demands of the specific situation and they need to know when and how to use those skills effectively. Given that the challenges leaders face can vary significantly, it is an unreasonable assumption to think that all leaders need basic management skills or that the same set of skills are needed for a potential leader in various future situations. Mahatma Gandhi earned a law degree from the University College London and worked in South Africa for two decades fighting racial discrimination. He mastered the art of making homespun clothing which he shared with people in his village to grow the local economy. This simple act made him very popular among locals. Rosa Parks attended the Montgomery Industrial School for Girls and later the Alabama State Teachers College. She worked on numerous cases with the NAACP in Montgomery, Alabama, and was known as a skilled seamstress. At the age of 42, her defiant action on a Montgomery bus launched her into the limelight of history. Not only must leaders have the mix of skills that matches the demands of the situation, but the potential leader often needs to be determined, courageous, and persistent enough to bring those skills to bear against opposition. These characteristics are better thought of as personality traits which can be identified but are not easily delivered through training. Without the right traits, a potential leader may succumb to the challenges at hand. Gandhi, Parks, and Churchill all demonstrated these traits although at different times and in different ways. Satyagraha, derived as a compound of the Sanskrit words satya (meaning “truth”) and agraha (meaning “polite insistence”), embodies the doctrine of passive resistance which Gandhi employed to win independence for India in 1947. And only a decade later, this same doctrine influenced Parks’ efforts to drive social change in the American South. Both were jailed yet demonstrated the courage to persist in spite of life-threatening circumstances. Churchill pursued a different path by courageously facing down the Nazi threat through military force and the development of strategic alliances with the Soviet Union and America. Obviously, a leader needs followers. Only when the landscape is littered with challenges do people see a need for change and seek to place their trust in a leader who they believe can navigate a way past the obstacles. Without followers, someone who by all other accounts would be a leader is just another face in the crowd. The challenge of winning independence, gaining civil rights, and the threat of barbarous conquest create an overwhelming need for change and followers of Gandhi, Parks, and Churchill lined up behind simple yet powerful messages. When no challenge exists other than that of efficiently performing the daily routine, some business executives might be tempted to create a crisis for purposes of enlisting followers. Is this ethical? This approach may serve in the short term to produce bankable results but once the followers realize that they have been manipulated they may very well react negatively to the contrived need for change which could easily sideline the leader’s efforts altogether. Finally, luck cannot be understated when it comes to bringing the right combination of factors together in a serendipitous fashion. Being in the right place when a circumstance or need perfectly matched to the leader’s skills and traits initially avails itself is an extremely important contributor to leadership and one that cannot be easily orchestrated. Leaders immerge when the need for change exists in a form that makes the current circumstances intolerable. Would Churchill who mustered Britain’s defense during WWII, have been such a luminary leader had peace prevailed in Europe in 1941 rather than war? While management can be defined by a specific set of skills, leadership encompasses skills, traits, the need for change, opposition, followers, and a good measure of luck. Under certain circumstances, a manager can be a leader. But it should be clear to everyone that the power and dominance a title bestows does not in itself make someone a leader. And training alone falls far short of creating a leader. Who could have foreseen that the peaceful Mahatma Gandhi, the mild-mannered Rosa Parks or the great orator Winston Churchill would have become the leaders they did? While Churchill enjoyed a relatively steady rise to power, how coincidental was it that on May 10 the Nazis launched their invasion of Holland, Belgium, and the Netherlands having occupied Norway in April, and Churchill gave his first speech before the House of Commons as Prime Minister on May 13? Call it luck, fate or providence, Churchill found himself in the right place at the right time facing a seemingly insurmountable challenge with the right skills and traits. All the right factors had come together to produce a leader of legendary proportions. The same could be said for Gandhi and Parks. Leaders are not guaranteed through training, birthright, appointment or any other predictable means. Leadership is completely situational. Only the act of leading creates a leader and the success of that endeavor is best judged in hindsight. Fred Stawitz, a national award-winning educator/writer and recipient of the Leadership 500 Awards LEAD Circle of Winners presented by HR.com, authored the highly praised book "Don't Run Naked Through The Office" which helps employees navigate a path to success through the challenges of each of the four types of workplace environments. He researches/writes/speaks on the impact of conditions in the work environment on safety, productivity, and sustainable profitability. He developed skills-based training programs for the United Space Alliance Ascent Flight Design Group and InterGen (a Shell/Bechtel joint energy venture), led the development of online technical training for El Paso Corporation, and currently serves in a regulatory compliance capacity at Kinder Morgan. He has also appeared on CNN Headline News – Local Edition in Southern California, a PBS local affiliate special in Pennsylvania as well as a variety of television/radio programs and was quoted in a special Congressional Quarterly report.